Dividend Solar has gone and busted out a can of CO2 whoopass with new solar loans that are the lowest on the market. At a 6.5% interest rate, it even beats PACE financing from Sonoma County (7%), which of course is only available in one county in California. Furthermore, rather than just serving a handful of hot solar markets, Dividend Solar is serving the top 20 solar states in the US. That’s more than top solar installation companies SolarCity, Vivint Solar, Sunrun, etc. One of the big themes in the solar industry this year us a shift from solar leasing & PPAs to solar loans. Solar leasing/PPAs still dominate, and probably will next year as well, but after years of a steep rise, their residential market share is leveling off. Furthermore, the cheaper cost of solar power these days, and falling costs, combined with banks (and companies like Dividend Solar and Mosaic) warming up to home solar loans, encourage a shift to purchases and ownership. 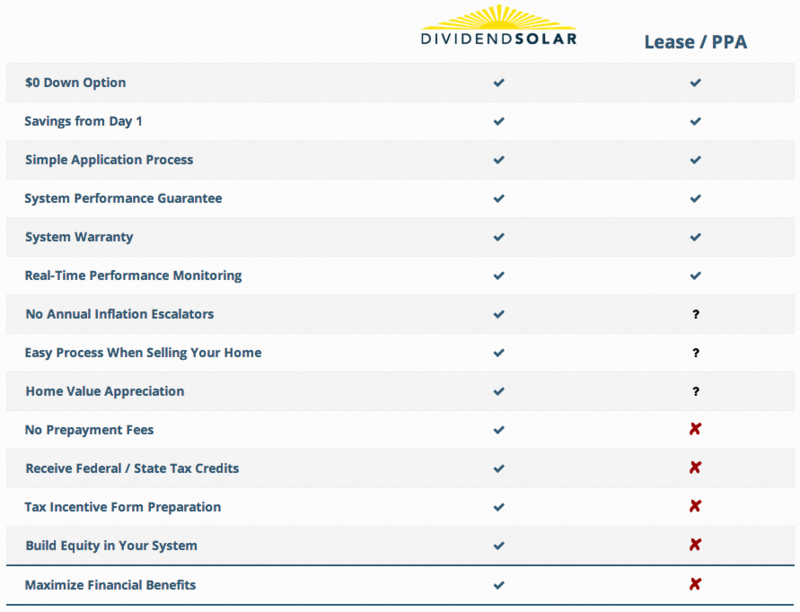 Dividend Solar is also opening up investment opportunities to people who would like to fund the loans. “Our EmpowerPortal™ is a direct lending platform that provides streamlined loan financing to homeowners looking for a smart solution to go solar. By lending directly to homeowners through our web-based platform, we can offer accredited investors the opportunity to deploy capital in a fragmented asset class at a meaningful scale,” the company writes. This company looks top notch. 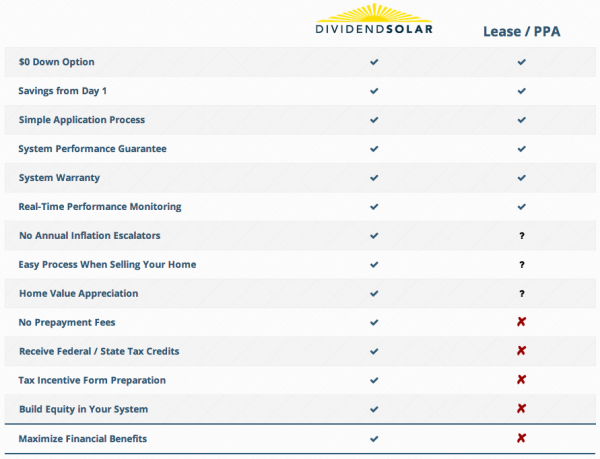 If you scroll around its website, you can find a bunch of gems, things that I think show Dividend Solar is looking to be the best in everything it does. Admirable, and important. I’m keeping my eye on this company.